Citation Information: JCI Insight. 2016;1(4):e81090. https://doi.org/10.1172/jci.insight.81090. The prevention of organ damage and early death in young adults is a major clinical concern in sickle cell disease (SCD). However, mechanisms that control adult progression of SCD during the transition from adolescence are poorly defined with no cognate prophylaxis. Here, we demonstrate in a longitudinal cohort of homozygous SCD (SS) mice a link between intravascular hemolysis, vascular inflammation, lung injury, and early death. Prophylactic Nrf2 activation in young SS mice stabilized intravascular hemolysis, reversed vascular inflammation, and attenuated lung edema in adulthood. Enhanced Nrf2 activation in endothelial cells in vitro concurred with the dramatic effect on vascular inflammation in the mice. BM chimeric SS mice lacking Nrf2 expression in nonhematopoietic tissues were created to dissect the role of nonerythroid Nrf2 in SCD progression. The SS chimeras developed severe intravascular hemolysis despite having erythroid Nrf2. In addition, they developed premature vascular inflammation and pulmonary edema and died younger than donor littermates with intact nonhematopoietic Nrf2. Our results reveal a dominant protective role for nonhematopoietic Nrf2 against tissue damage in both erythroid and nonerythroid tissues in SCD. Furthermore, we show that prophylactic augmentation of Nrf2-coordinated cytoprotection effectively impedes onset of the severe adult phenotype of SCD in mice. Citation Information: JCI Insight. 2016;1(4):e83116. 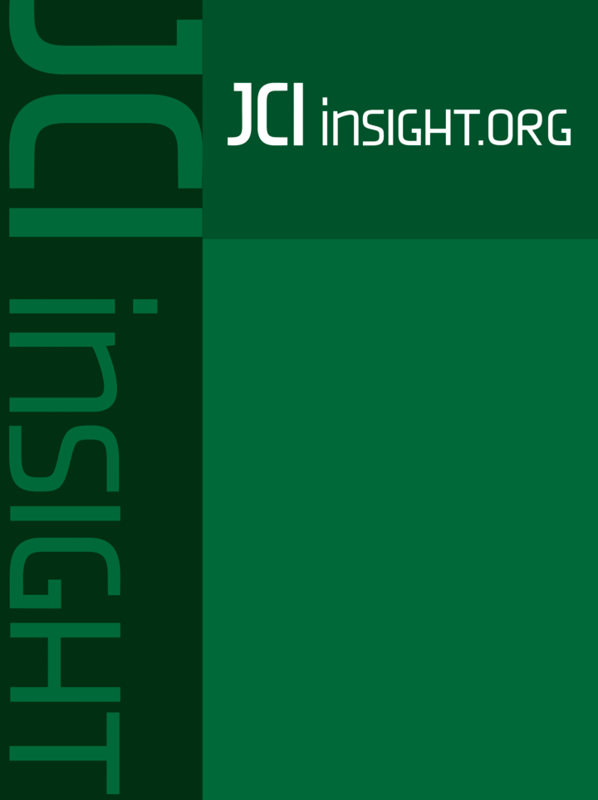 https://doi.org/10.1172/jci.insight.83116. Idiopathic pulmonary fibrosis (IPF) is a fatal disease without any cure. Both human disease and animal models demonstrate dysregulated wound healing and unregulated fibrogenesis in a background of low-grade chronic T lymphocyte infiltration. Tissue-resident memory T cells (Trm) are emerging as important regulators of the immune microenvironment in response to pathogens, and we hypothesized that they might play a role in regulating the unremitting inflammation that promotes lung fibrosis. Herein, we demonstrate that lung-directed immunotherapy, in the form of i.n. vaccination, induces an antifibrotic T cell response capable of arresting and reversing lung fibrosis. In mice with established lung fibrosis, lung-specific T cell responses were able to reverse established pathology — as measured by decreased lung collagen, fibrocytes, and histologic injury — and improve physiologic function. Mechanistically, we demonstrate that this effect is mediated by vaccine-induced lung Trm. These data not only have implications for the development of immunotherapeutic regimens to treat IPF, but also suggest a role for targeting tissue-resident memory T cells to treat other tissue-specific inflammatory/autoimmune disorders. Citation Information: JCI Insight. 2016;1(4):e86038. https://doi.org/10.1172/jci.insight.86038. Citation Information: JCI Insight. 2016;1(4):e86082. https://doi.org/10.1172/jci.insight.86082. BCR-ABL1+ B progenitor acute lymphoblastic leukemia (Ph+ B-ALL) is an aggressive disease that frequently responds poorly to currently available therapies. Alterations in IKZF1, which encodes the lymphoid transcription factor Ikaros, are present in over 80% of Ph+ ALL and are associated with a stem cell–like phenotype, aberrant adhesion molecule expression and signaling, leukemic cell adhesion to the bone marrow stem cell niche, and poor outcome. Here, we show that FAK1 is upregulated in Ph+ B-ALL with further overexpression in IKZF1-altered cells and that the FAK inhibitor VS-4718 potently inhibits aberrant FAK signaling and leukemic cell adhesion, potentiating responsiveness to tyrosine kinase inhibitors, inducing cure in vivo. Thus, targeting FAK with VS-4718 is an attractive approach to overcome the deleterious effects of FAK overexpression in Ph+ B-ALL, particularly in abrogating the adhesive phenotype induced by Ikaros alterations, and warrants evaluation in clinical trials for Ph+ B-ALL, regardless of IKZF1 status. Citation Information: JCI Insight. 2016;1(4):e86288. https://doi.org/10.1172/jci.insight.86288. Citation Information: JCI Insight. 2016;1(4):e86355. https://doi.org/10.1172/jci.insight.86355. We recently identified a genome-wide genetic association of eosinophilic esophagitis (EoE) at 2p23 spanning the calpain 14 (CAPN14) gene, yet the causal mechanism has not been elucidated. We now show that recombinant CAPN14 cleaves a calpain-specific substrate and is inhibited by 4 classical calpain inhibitors: MDL-28170, acetyl-calpastatin, E-64, and PD151746. CAPN14 is specifically induced (>100-fold) in esophageal epithelium after IL-13 treatment. Epithelial cells overexpressing CAPN14 display impaired epithelial architecture, characterized by acantholysis, epidermal clefting, and epidermolysis. CAPN14 overexpression impairs epithelial barrier function, as demonstrated by decreased transepithelial resistance (2.1-fold) and increased FITC-dextran flux (2.6-fold). Epithelium with gene-silenced CAPN14 demonstrates increased dilated intercellular spaces (5.5-fold) and less organized basal cell layering (1.5-fold) following IL-13 treatment. Finally, CAPN14 overexpression results in loss of desmoglein 1 (DSG1) expression, whereas the IL-13–induced loss of DSG1 is normalized by CAPN14 gene silencing. Importantly, these findings were specific to CAPN14, as they were not observed with modulation of CAPN1 expression. These results, along with the potent induction of CAPN14 by IL-13 and genetic linkage of EoE to the CAPN14 gene locus, demonstrate a molecular and cellular pathway that contributes to T helper type 2 responses in mucosal epithelium. Citation Information: JCI Insight. 2016;1(4):e86183. https://doi.org/10.1172/jci.insight.86183. BACKGROUND. Airflow obstruction is common in cystic fibrosis (CF), yet the underlying pathogenesis remains incompletely understood. People with CF often exhibit airway hyperresponsiveness, CF transmembrane conductance regulator (CFTR) is present in airway smooth muscle (ASM), and ASM from newborn CF pigs has increased contractile tone, suggesting that loss of CFTR causes a primary defect in ASM function. We hypothesized that restoring CFTR activity would decrease smooth muscle tone in people with CF. METHODS. To increase or potentiate CFTR function, we administered ivacaftor to 12 adults with CF with the G551D-CFTR mutation; ivacaftor stimulates G551D-CFTR function. We studied people before and immediately after initiation of ivacaftor (48 hours) to minimize secondary consequences of CFTR restoration. We tested smooth muscle function by investigating spirometry, airway distensibility, and vascular tone. RESULTS. Ivacaftor rapidly restored CFTR function, indicated by reduced sweat chloride concentration. Airflow obstruction and air trapping also improved. Airway distensibility increased in airways less than 4.5 mm but not in larger-sized airways. To assess smooth muscle function in a tissue outside the lung, we measured vascular pulse wave velocity (PWV) and augmentation index, which both decreased following CFTR potentiation. Finally, change in distensibility of <4.5-mm airways correlated with changes in PWV. CONCLUSIONS. Acute CFTR potentiation provided a unique opportunity to investigate CFTR-dependent mechanisms of CF pathogenesis. The rapid effects of ivacaftor on airway distensibility and vascular tone suggest that CFTR dysfunction may directly cause increased smooth muscle tone in people with CF and that ivacaftor may relax smooth muscle. FUNDING. This work was funded in part from an unrestricted grant from the Vertex Investigator-Initiated Studies Program.